Meditation is a mental discipline by which one attempts to get beyond the reflexive, "thinking" mind into a deeper state of relaxation or awareness. Meditation often involves turning attention to a single point of reference. Different meditative disciplines encompass a wide range of spiritual and/or psychophysical practices which may emphasize different goals—from achievement of a higher state of consciousness, to greater focus, creativity or self-awareness, or simply a more relaxed and peaceful frame of mind. It is the practice of purifying our emotions and our conscious and realizing our own self and a technique of mediation for attitudinal change, behavioral modification and integrated development of personality. ● Reduce physical stress and strengthen the immune system. ● Improve mental and emotional health. ● Develop personality, change harmful habits, and treat phobias. ● Enhance mental abilities, concentration & operational efficiency. Will-power, achieve goals, and much more. The techniques of meditation are simple and easy to learn, though the ability to keep the mind focused takes time, patience and practice. The practice of meditation, regularly, gives the benefits like reduction of stress, tension, anxiety and frustration, as well as improved memory, concentration, inner peace and physical well being. Yoga and Meditation tours have also proved themselves to be highly effective in treating psychological problems such as obsessive-compulsive disorders, depression, schizophrenia and anxiety. The various techniques of meditation can be classified according to their focus. Some focus on the field or background perception and experience, often referred to as "mindfulness"; others focus on a preselected specific object, and are called "concentrative" meditation. There are also techniques that shift between the field and the object. ... shifting freely from one perception to the next clear your mind of all that bothers you no thoughts that can distract you from reality or your personal being... No thought, image or sensation is considered an intrusion. The meditator, with a 'no effort' attitude, is asked to remain in the here and now. Using the focus as an 'anchor'... brings the subject constantly back to the present, avoiding cognitive analysis or fantasy regarding the contents of awareness, and increasing tolerance and relaxation of secondary thought processes. 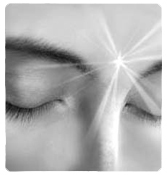 Concentration meditation is used in many religions and spiritual practices. Whereas in mindfulness meditation there is an open focus, in concentration meditation the meditator holds attention on a particular object (e.g., a repetitive prayer) while minimizing distractions; bringing the mind back to concentrate on the chosen object. Meditation can be practiced while walking or doing simple repetitive tasks. Walking meditation helps break down habitual automatic mental categories, "thus regaining the primary nature of perceptions and events, focusing attention on the process while disregarding its purpose or final outcome. WHAT IS THE END RESULT OF THIS EXPERIENCE ? It leads to a life, which is balanced, blissful and full of peace; free from stress and enlightened in all respects. It helps to connect with your soul at its most profound level, achieving a state of super consciousness and increased concentration. Besides it endows upon us a boon of good health. In many cases participants have experienced vast relief in diseases like heart problem, blood pressure, diabetes and depression. The yoga and meditation tour in India aims at offering an acquaintance to the tourists about the yoga centres in India and the teachings and training of Yoga at these centres like Madras (Chennai), Kerala, Rajasthan. At Real Voyages, we have designed just such travel holiday packages for you. Our tours allow you to travel around India and delve into your latent spirituality at the same time. Our exclusive holidays combine sightseeing either with rejuvenating Ayurvedic Health Treatments in Madras (Chennai), Yoga and Meditational Holidays in Rajasthan, magical Sanjeevanam therapeutic massages in Kerala. So get ready to revive yourself with travel and a Yoga and Meditation holiday in India. You will be refreshed and rejuvenated in the beautiful environs of nature within no time and experience your spirituality like never before. Travel in India is sure to be a truly refreshing experience this time around. So, book your tour with Real Voyages. Daily mental exercises. The act of Raja Yoga meditation for at least 15 minutes in the early morning will have a positive effect during the entire day. Upon waking have the thought; I am a peaceful soul, my aim today is to radiate peace to every person that I come into contact with. 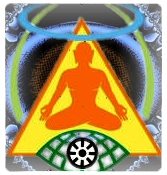 Sahaja Yoga is a meditation technique which brings a breakthrough in the transformation of human awareness. It was created by Shri Mataji Nirmala Devi in 1970 and has since spread all around the world. Through the practice of Sahaja Yoga meditation, our awareness gains a new dimension where absolute truth can be felt tangibly - on our central nervous system. 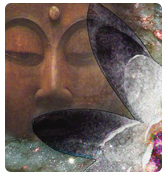 As a result of this happening, our spiritual ascent takes place effortlessly and physical, mental and emotional balances are achieved as a by product of this growth of our awareness.We then realize that we are not this body, mind, ego, conditionings, emotions or intellect, but something of an eternal nature which is always residing in our heart in a pure, undisturbed state - the Self or Spirit. The Spirit is the source of true knowledge, peace and joy. Self Realization is the actualization of this connection with our Spirit. In the Buddha's great discourse on the practice of mindfulness, the Maha-Satipatthana Sutta, both the object and the means of attaining it are clearly set forth. Attentiveness to the movements of the body, to the ever-changing states of the mind, is to be cultivated in order that their real nature should be known. Instead of identifying these physical and mental phenomena with the false concept of "self," we are to see them as they really are: movements of a physical body, an aggregate of the four elements, ('mahabhutas') subject to physical laws of causality on the one hand, and on the other, a flux of successive phases of consciousness arising and passing away in response to external stimuli. They are to be viewed objectively, as though they were processes not associated with ourselves but belonging to another order of phenomena. The biblical passages that use the phrase "Christian meditation" are few. Both words "meditate" and "meditation" are found about eighteen times in the Old Testament. There are basically two Hebrew words which are translated "meditate," found in Genesis 24:63; Joshua 1:8; Psalm 1:2; 63:6; 77:12; 119:15, 23, 48, 148; and 143:5. The Hebrew word "hagah" is given the meaning in the context of these verses to "ponder, imagine, meditate, mourn, speak, study, talk, utter, etc." Further meaning of meditation is given in the Hebrew word "aiyach" when it is used to mean "to ponder, to converse with oneself, and hence aloud; to utter or commune, complain, declare, meditate, muse, pray, speak, talk with (God in prayer, etc.) or it could be with another believer or group of believers--speaking one's thoughts about a passage of Scripture or words to a hymn, etc. The word meditation is used in Psalm 5:1; 19:14; 49:3; 104:34; 119:97, 99. A familiar verse in Psalm 19:14 states, "Let the words of my mouth, and the meditation of my heart, be acceptable in Thy sight..." He asks that his words and thoughts be equal. Words of the mouth are a sham if they are not backed up by meditation of the heart. As you can see, then, true Christian meditation is an active thought (thinking, resolving) process whereby one gives himself to study of the Word, praying over it, asking God to give you understanding by the Spirit, putting it into practice in daily life, and allowing it (the Scriptures) become the rule for life and practice as you go about your daily activities. This causes spiritual growth and maturing in the things of God as taught you by His Holy Spirit indwelling you as a believer.